While you are reading this – take a nice deep breath in. Now exhale. Feels great, right? Although proper breathing feels great, chances are that you hold your breath throughout the day without even realizing it, especially while concentrating, or performing actions such as lifting, reaching and pulling. Almost all individuals have a tendency to hold their breath, but it is much more common among women. Even holding your breath while performing daily tasks can be detrimental. Q: What happens when I hold my breath? Holding your breath, especially when bearing down, causes intra-abdominal pressure and thus increases pressure on the bladder. The urethra is supported by a network of muscles and fascia of the pelvic floor. If this support is weakened, the urethra will move downwards at those times of increased intra-abdominal pressure, thus causing urinary frequency or urinary leakage. Q: What has had the biggest impact on your daily life? 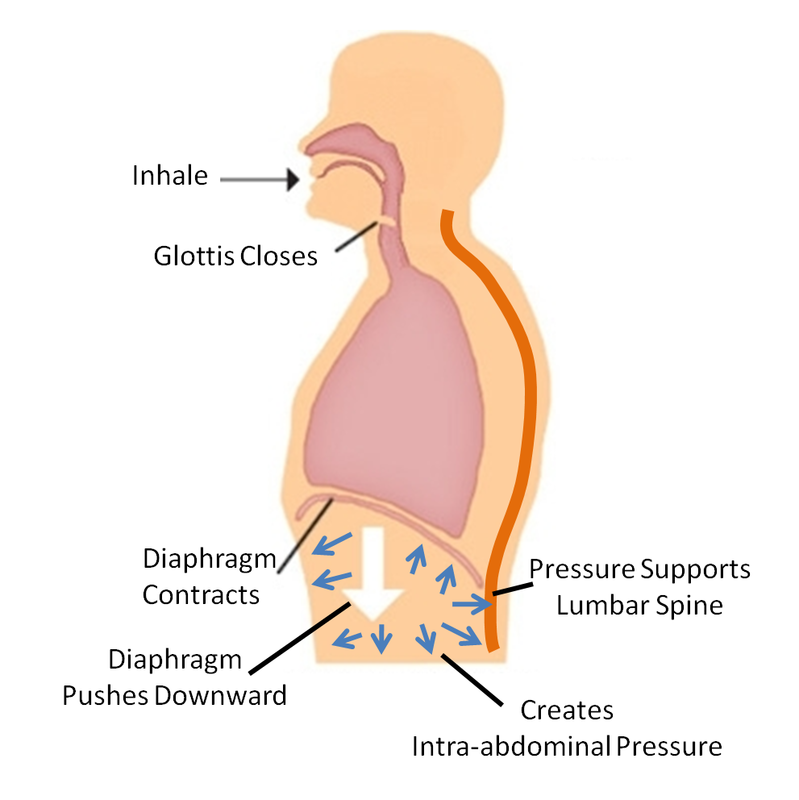 This illustration shows how intra-abdominal pressure is formed when holding your breath. 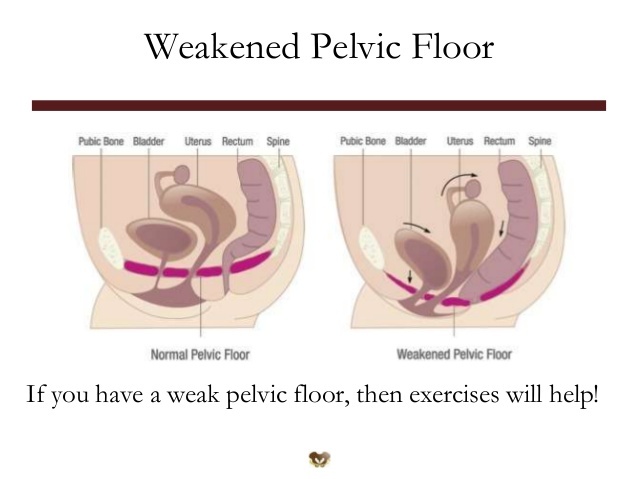 Notice how the diaphragm contracts and pushes downwards, creating downward pressure on your pelvic floor and surrounding organs such as your bladder. Holding your breath, and holding your breath while bearing down, weakens the pelvic floor and increases the changes of developing urinary incontinence, prolapse and other pelvic floor dysfunctions.